Yesterday, there was an article on Channel News Asia about how you can easily pay someone to write your essays for you. One service provider claimed to have a “team of Rafflesians ready to help”, while another said their writers were graduates of “elite junior colleges with placements in top universities.” Essentially, you pay a few hundred dollars for someone else to write your assignment, some even with a guaranteed pass grade. I found it extremely depressing. Not so much regarding the practice - I know this has existed for years. What I found discouraging was the angle of the article. You see, even though the article painted the practice negatively, it was only because the journalist found one of the bought essays to earn a failing grade. A seller interviewed boasted about the quality of his essays while a buyer talked only about the risk of getting caught. University spokespersons warned about both. In fact, a long section was dedicated to the marker slamming the quality of the essay. Yet another long section was devoted to the harsh penalties meted out to students who were caught outsourcing their essays. NOWHERE in the article does the journalist or any of the interviewees mention that this practice should be condemned simply because it is wrong. This is one of those cases where there is no grey area. To me, it's not about how good the bought essay was, or whether it passed any plagiarism checker. The point is that getting someone else to write your essay and then passing it as your own is cheating. Plain and simple. It's the same as going into an exam and copying from your neighbour. It makes a mockery of the education system where one is supposed to learn and be evaluated on that learning. I find that people have become increasingly creative when it comes to justifying their own actions. Everything is acceptable as long as you can argue it so. But I believe that when you strip down all the justifications and rationalisations, you'll find that the intent of the individual is often wrapped around one main value - integrity or the lack of it. 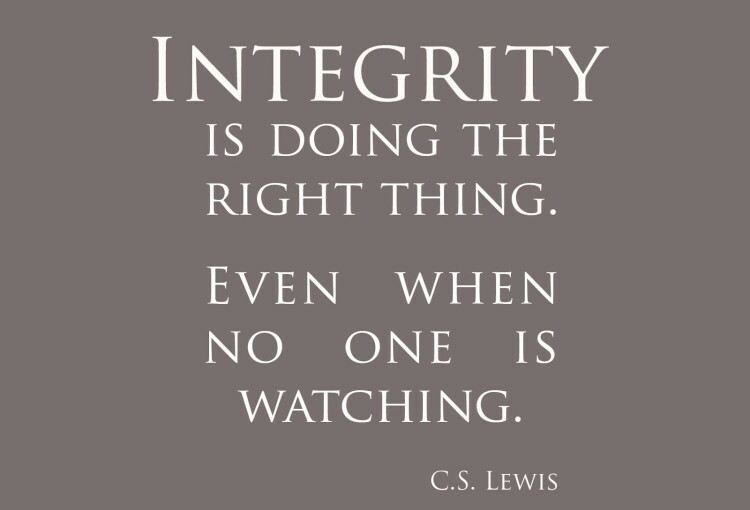 Integrity is something you have or you don't, and is the value that drives your very core. For example "I can pay my maid late since I give her food" or "It's ok to under-declare my taxes since the government doesn't need it anyway" or "I will pretend I didn't know my son stole his classmate's toy since that classmate is very rich". Unfortunately, integrity is not a value that can be concretised or assessed in a neat package so it's often undervalued and under-measured, whether in school or at the workplace. People of integrity are seldom recognised simply for being upright. In fact, they're usually scoffed at for being "old-fashioned" or "naive". In many instances, people adopt honesty only when it suits them or when something hurts them personally. Often, people with questionable integrity are the quickest to point a finger at others' honesty (cough*Trump*cough). In other words, society has evolved such that even the boundaries of honesty have been redrawn. That in itself, ironically, is a lack of integrity. Coming back to the practice of buying essays, the fundamental problem is a lack of integrity, both on the part of the buyers AND the sellers. The sellers are equivalent to scalpers who buy concert tickets and resell them at exorbitant prices. Sure, they're not committing a crime but they're engaging in ethically abhorrent behaviour). And the fact that the article didn't call them out on this, reflects pretty much the values of society today - one that values only results. How the results are achieved is secondary. If you have to get someone to do the work for you, so be it. Just don't get caught. (And if you do get caught, find some creative excuse to justify it). In case you're wondering, I don't have a solution to offer. Penalties will only go so far and rewards can have a backlash where people do something only for its returns. Encouraging people to adopt a value for its own sake is an enormously difficult task. All I can say is that people with no moral compass are the ones who potentially cost the system and society a lot, especially when they are revealed in cheating or fraud cases. Perhaps what we can do to uphold the value of integrity, is to speak up against immoral practices, while supporting and encouraging the upright among us, so that they might not weary in doing good. And as parents, we have an enormous influence on our kids, by setting good examples and living lives of integrity. In a world where everything seems to be negotiable for a price, may we have the conviction to say that our values are not for sale. This is interesting and frustrating at the same time. Doing the right thing ? The definition of "right" may be different for different persons. People with integrity are scoffed at for being rigid while "problem solvers" are the new term for resourcefulness. Speak up against bad Practices? How many whistle blowers genuinely do so to uphold integrity and how many do it as a way to eliminate competition? When it comes to morally right or wrong issues, moral standards of an individual may differs from the masses due to how they are brought up...or which side of the fence they are on. Ownself check ownself first. The really good ones are usually passionate about their work and will go a long way. Those who need to "buy essays" or engage any other short cuts may just want to cross that bridge and proceed to do other stuff that worth their time. I don't know. Think a genius scientist wannabe who needs to pass a geography paper (which he does​badly or no interest) to graduate, something like that. I tend to tell my kids while it is wrong, others may have their reasons to do so - give them benefit of doubts as they lose out in the long run (be it exposure/expertise gained or morally) and don't judge too quickly. Costing few hundred dollars for someone to write an essay for you, seems to me like a service only the well off can provide. If students can employ such services, their parents must have gave them too much pocket money. If it is tertiary students using own money, they probably have justification I guess. I guess at this point of my life (as a parent, or even if I am a student), I am more concerned with project work free loaders and credit claimers or back stabbers (different sorts of integrity issues) than those who secretly pay others to write their essays. 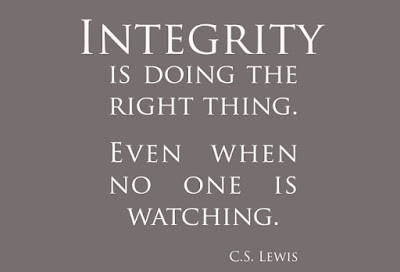 Yes, there are different ways to show integrity - it's not a contest between one or the other. Justifying something doesn't mean the person doesn't know it's not morally wrong. The fact that they would do this in the shadows and not openly admit it proves this. Justification is simply a way of making themselves feel better about having something wrong. Visit the official Danger Dan website! Danger Dan books on Facebook! 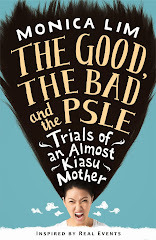 Lesley-Anne and I conduct talks and meet-the-author sessions for schools (level: p3-6)! Click on the photo to find out more. I only correspond with readers on the Of Kids and Education Community Facebook page (send me a PM), not via my work or personal email. Thanks! Education stress - whose fault? Life isn't fair. What do we do? Are we tuitioning the life out of our kids?